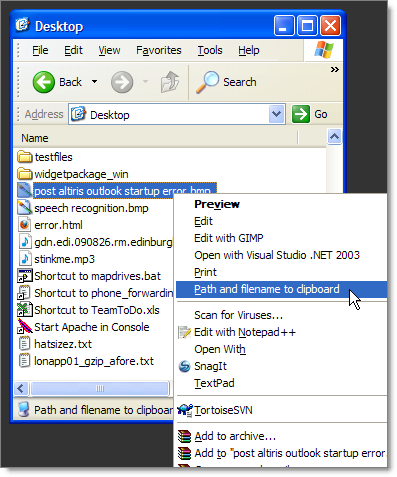 Many moons ago I wrote a little helper application for Windows that would allow you to right-click a file in Explorer and get its full path, including filename, into the clipboard. Owing to underwhelming demand I have resurrected it. This entry was posted in Development, Tools and tagged helper app, xp by Stuart. Bookmark the permalink. And what a fantastic tool this is – I still use it and its very very useful. What was life like without this tool? This is awesome!